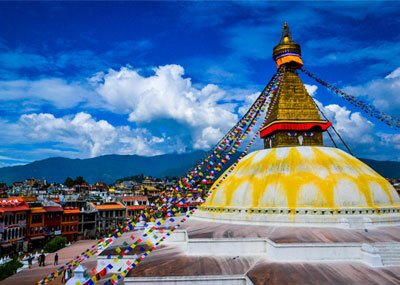 Mystic Bhutan tour discovers western and central Bhutan. Beautiful Paro valley a rich culture, scenic beauty and hundreds of myths and legends, short hiking tour to Taksang Monastery (Tiger’s nest). Thimphu the capital city of Bhutan perhaps which is the only city without traffic light, Punakha and Wangduephodrang, exploring important cultural sites, monuments, unique culture and tradition, people, and villages. The highlight of this tour will visit Punakha Dzong which stands majestically at the junction of the two rivers Pho Chu (Male River) and Mo Chu (Female River). Further to Trongsa and Bumthang. You will meet the fascinating people and explore the colorful hand-painted Himalayan buildings, monuments and cinematic landscape. Experience the age old customs and traditions which are still part of everyday lives of the Bhutanese, even while modernization, development and the strains of global influence are felt more and more. Airport hotel - airport - transfer. Lunch and dinner where it mentioned b. b. plan. Tips (guide, driver & other staffs), etc.